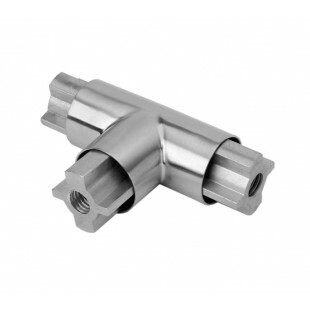 Designed as a component piece for cubicle headrail installation, our headrail T joint connector for glass cubicles is manufactured from high-quality grade 316 stainless steel with a durable satin permalast finish. 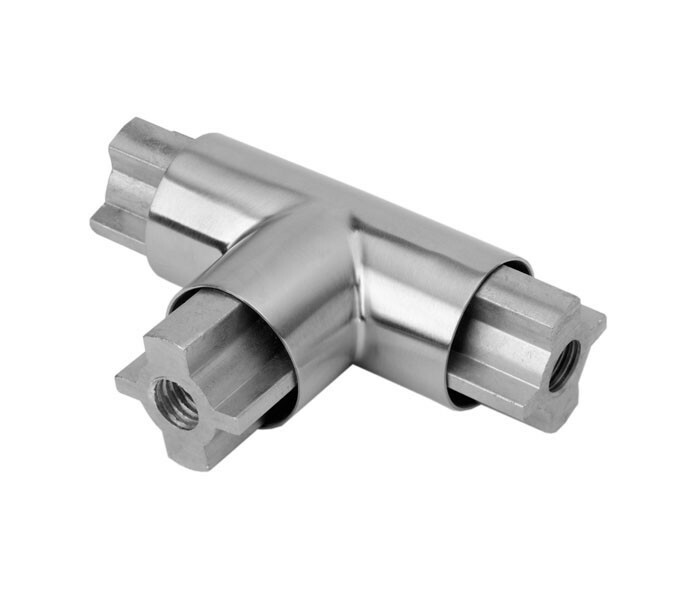 This cubicle headrail connector component piece is used to connect a tubular headrail back to the wall and features a recognisable T shape design, enabling a secure connection of the headrail to a support post. Our three-way headrail T joint for cubicle headrail looks subtle and modern in a satin stainless steel finish.